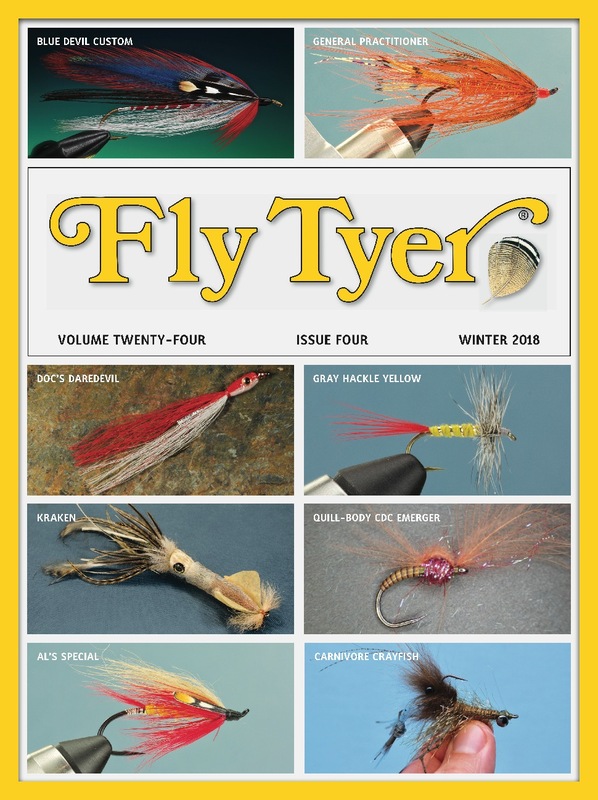 Lefty’s Deceiver and the Clouser Minnow are great flies. When you put them together in a single pattern, they are greater than the sum of their parts. Without a doubt, the Half & Half is my favorite saltwater fly, and there’s a tie for second place between Lefty Kreh’s Deceiver and Bob Clouser’s Clouser Minnow. As you may already know, the Half & Half is a combination of those two remarkable patterns. The Half & Half combines a long, Deceiver-style saddle hackle tail with the dumbbell eyes and bucktail front of a Clouser Minnow. In other words, you get the elongated profile and sultry motion of a Deceiver with the weighted jigtype movement of a Clouser Minnow. You can also tie the dark back and light belly found on a Clouser. The Half & Half features the best attributes of both patterns. Making a Half & Half is not difficult, but there are a few pitfalls, particularly for beginning tiers. The first comes with the dumbbell eyes. Tying on dumbbell seems easy, but it can be an exercise in frustration if you set your expectations too high. Keep in mind that you are attaching slippery metal eyes to a slick metal hook using smooth thread. No matter what type of thread wraps you use or how tight you make them, odds are the eyes will spin around the shank if you use only moderate thread pressure. Attach the eyes to the top of the hook as firmly as you can, but expect them to spin if forced. The next major pitfall happens with the Deceiver-style tail; once again, a lot of this depends upon your expectations. Years ago, I watched Mr. Kreh tie a Deceiver at a fly fishing show. He simply grabbed a bunch of saddle hackles from a clump of strung feathers and lashed them to the back end of a hook with seemingly little care about their number, shape, size, or orientation. And I don’t think he even prepped the feathers before tying them on. Nowadays, however, most Deceivers and Half & Halfs are tied with hackles that are nearly exact in size and shape, and they’re oriented absolutely vertical to the hook shank. Unless you’re overly fussy, you may tie the tail the way Lefty did; I can’t imagine the fish will care. But if you want a perfect Deceiver-style tail, beware it’s not especially easy to achieve. 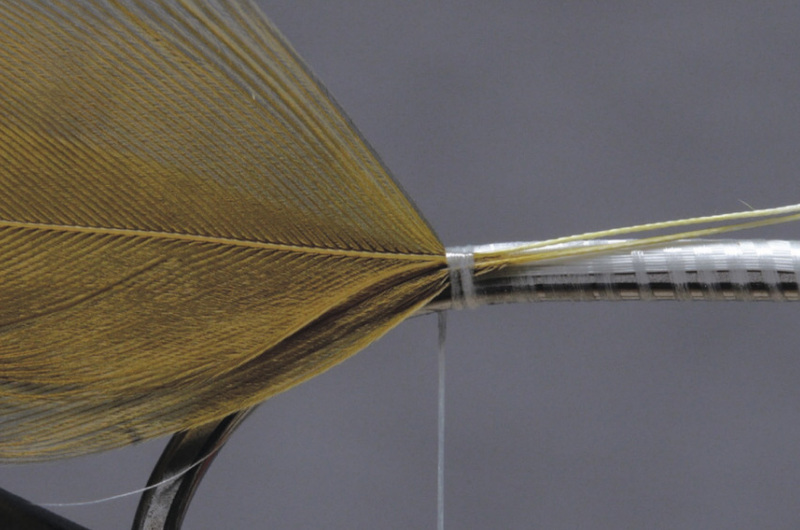 Over the years, I’ve come up with a few techniques—I guess you could call them “cheats”—that make tying the tail easier. I’ll share those methods with you in the accompanying tying photos. I think what makes the Half & Half so effective is the movement of the fly as well as the materials. I highly recommend attaching the fly to your leader using a nonslip loop knot. This knot will allow the Half & Half to move much more freely in the water.